Our office cleaning rates / costs in London are very competitive and affordable. 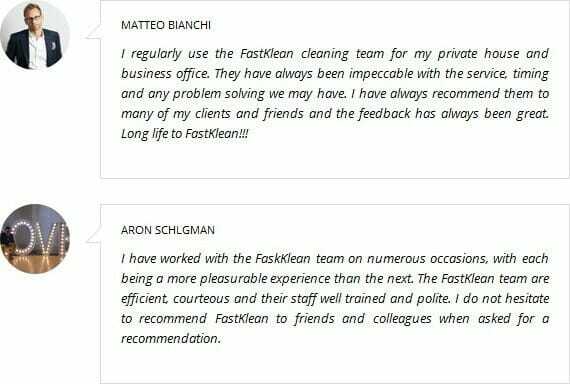 FastKlean aims to provide you, the customer with excellent cleaning services that are professional and good value for money and our office cleaning prices are very reasonable. Office cleaning rates are very economical and cheap and we proud ourselves of offering the best cleaning services at the very low cost. Our office cleaners are very well trained, fully insured and honest. FastKlean cleaning company carries out quality control checks so as to keep a best commercial cleaning service to our clients at all times. For more details about our superb office cleaning costs in London, call us on: 020 8884 9149.